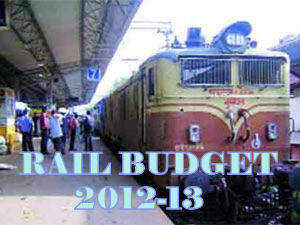 Increase in Frequency of Trains in Rail Budget 2012-13: Rail Budget 2012-13 presented Today (14th March 2012) by Union Railway Minister Mr Dinesh Trivedi is moderate budgets with some new trains, facilities and small hike in rail fare. 14. 12453/12454 New Delhi-Ranchi Rajdhani Express from 1 to 2 days. 15. 12457/12458 Delhi Sarai Rohilla-Bikaner Superfast Express from 3 to 7 days. 20. 75705/75706 New Jalpaiguri-Aluabari-Siliguri DEMU from 6 to 7 days. 21. 75707/75708 Radhikapur-New Jalpaiguri DEMU from 6 to 7 days. 22. 75709/75710 Balurghat-New Jalpaiguri DEMU from 6 to 7 days. 23. 12485/12486 Shri Ganganagar-Hazur Sahib Nanded Express from 1 to 3 days.